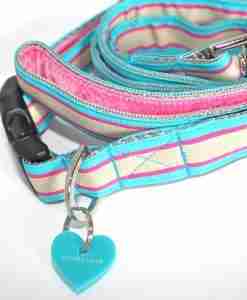 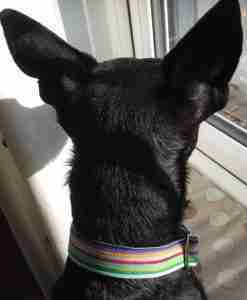 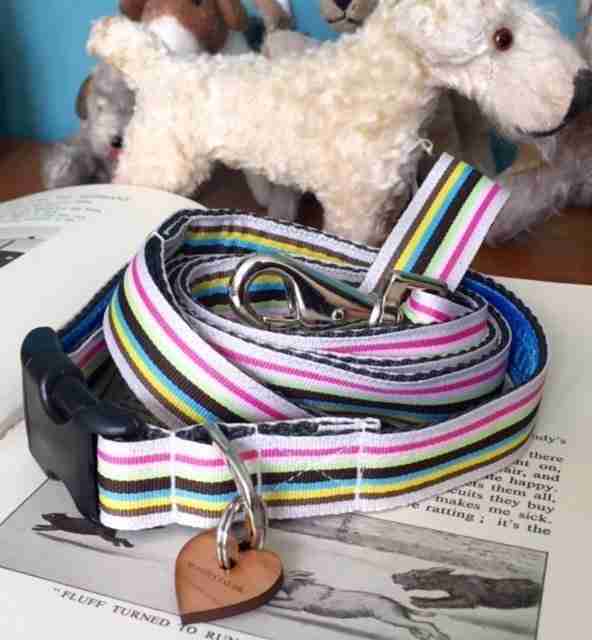 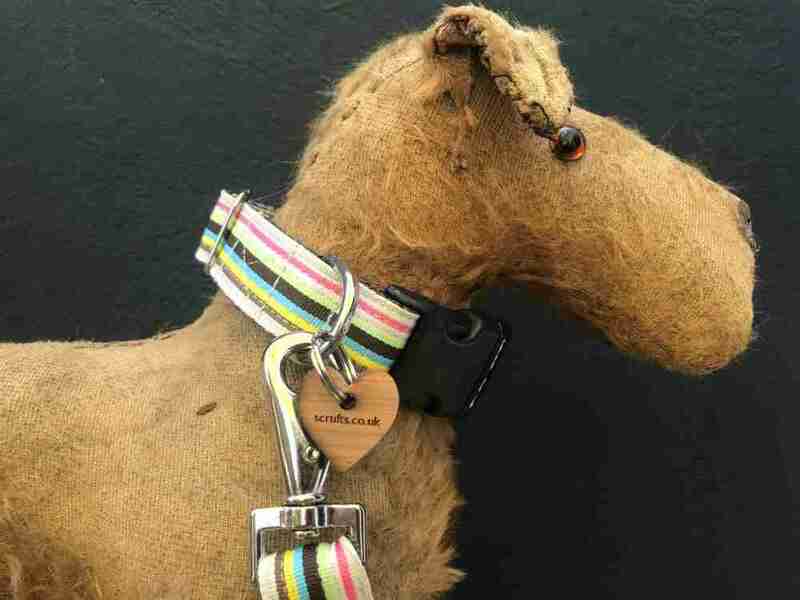 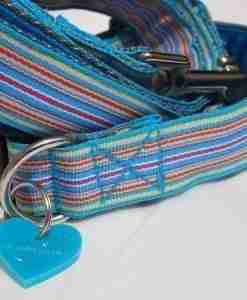 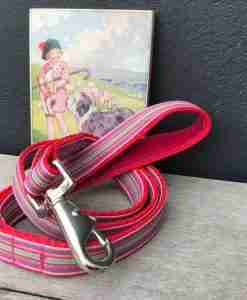 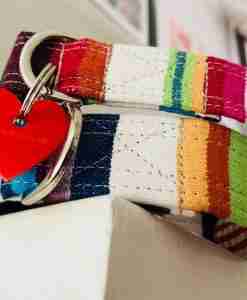 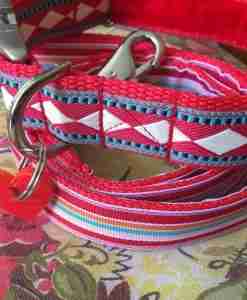 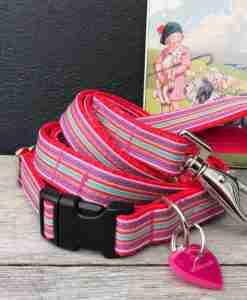 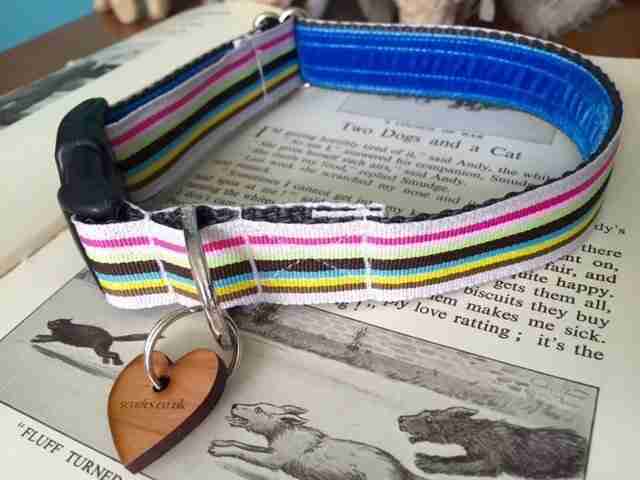 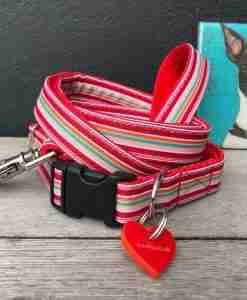 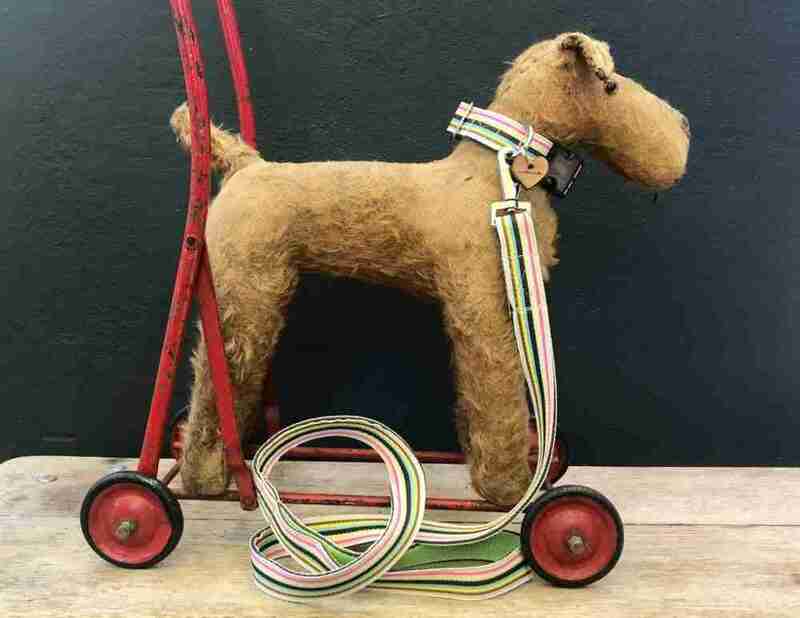 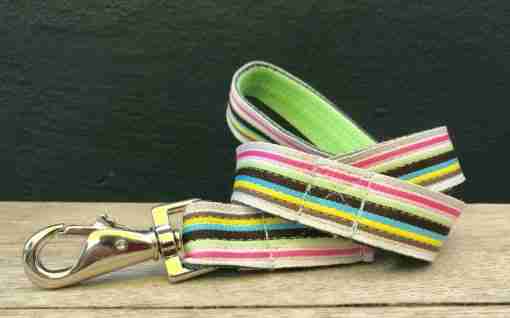 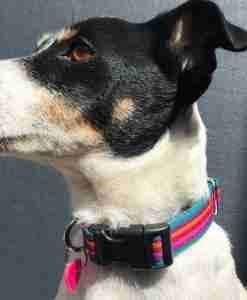 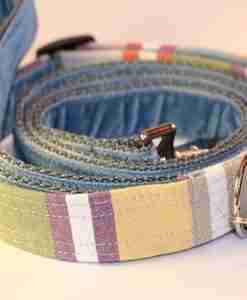 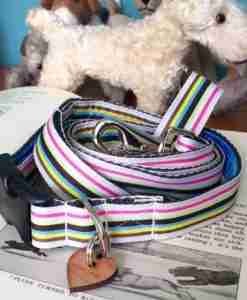 This is a beautiful classic striped dog collar and Neapolitan is an old favourite here at Scrufts HQ. 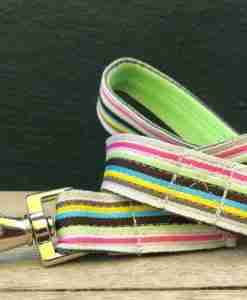 Featuring a pale beige background with stripes in pink, mint, chocolate, turquoise, yellow and coffee it’s lined with mint green velvet for a lux feel and comfy walkies. 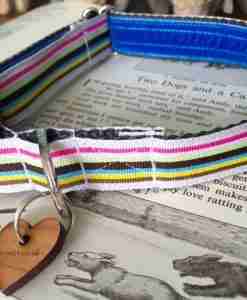 Teamed with an exclusive Scrufts’ heart shaped cherry wood tag for the final ta-dah ! My Neapolitan Dog Collar is made using polyester ribbon, Swiss velvet, polypropylene webbing, meal slider and dee ring, a hi spec black nylon curved side release clasp and strong metal easy use lead clasp.